These options are available for anyone who wishes to purchase content or place an order directly through my website. Check out my Links page for a full list of third-party sites I use. Works with most credit cards and bank accounts. For additional information on cryptocurrencies, including recommendations on wallets and exchanges, I recommend checking out /r/CryptoCurrencies on Reddit.com. Cryptocurrency transfers often go through in 2-60 minutes. Speedy, safe, and secure. Works with US, UK and some European issued Visa and Mastercard debit cards. Circle Pay is an app (with a matching desktop website) that allows you to store and send money with no fees. You can set your profile name to be different from the name attached to your account for extra privacy! Circle Pay transfers often go through in 2-30 minutes. Works with all Canadian checking accounts. Send money directly from your Canadian bank account to mine with this handy online banking feature. Check out this video to learn how it works. The steps are the same no matter which bank you’re sending money from, but each bank’s website/app will look slightly different. 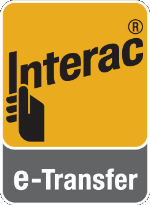 Payments made via Interac E-Transfer are subject to current USD-CAD conversion rates. Interac E-Transfers can take anywhere from one minute to one day to go through, so please keep this in mind when using it to place an order. CamModelDirectory is a third party website that processes transactions for online adult services (not including mailable goods). CMD does take a % of my earnings, but they bring me more business in exchange, so I do not charge a fee to use it. If you do pay via CamModelDirectory, please consider leaving me a positive review afterwards! CamModelDirectory payments are one of the most immediate of all options listed and have never taken more than 10 minutes to process in my experiences. IndieBill is a credit card processing website for online adult services – No registration necessary! 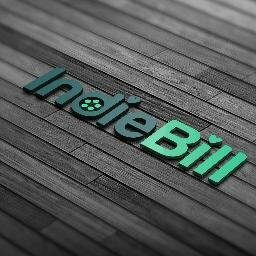 IndieBill does charge a small service fee. IndieBill payments are one of the most immediate of all options listed. Works with Visa, Mastercard, AMEX, and Discover. Giftrocket.com is an online gift card sending service that allows gift cards to be redeemed for cash. Sending a Giftrocket gift card is very quick and easy. It does include fees, though, which vary depending on the transaction amount. 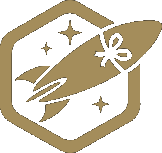 Giftrocket payments now take 3-5 days to process. I do not provide goods/services until payment has cleared, so please keep this in mind if you’re considering paying via Giftrocket. Amazon.com works with Visa, Mastercard, AMEX, Diners Club, Discover, JBC, UnionPay, Amazon.com store card, and US based checking accounts. Amazon.ca works with Visa, Mastercard, and AMEX. Amazon gift cards are a quick and easy way to send payments, and you don’t have to be from the US or Canada to send them. A 20% convenience fee is applied to all payments made via both Amazon.com and Amazon.ca gift cards. Payments made via Amazon.ca are also subject to current USD-CAD conversion rates. Click here to learn about gift card fees. Amazon gift cards can take anywhere from one minute to one day to go through, so please keep this in mind when using it to place an order. Click here to learn why I do not accept PayPal. If you wish to pay by PayPal, you may use it to purchase an Amazon.com gift card via www.gyft.com. Amazon gift card fees apply. Copyright © 2019 Faith Rae. This Website contains sexually-oriented adult content. • That you are 18 years of age or older (21-years old where 18 is not the age of majority), and that you are voluntarily choosing to access and purchase such content for your own personal use. • That you intend to view the sexually-explicit material in the privacy of your home, or in a place where there are no other persons viewing this material who are either minors, or who may be offended by viewing such material. • That you are familiar with your local community standards and that the sexually-explicit materials which you have chosen to view and/or download from this Website are well within the contemporary community standards of acceptance and tolerance of your community for sexually-explicit material. If all of these conditions apply to you, you are permitted to enter.